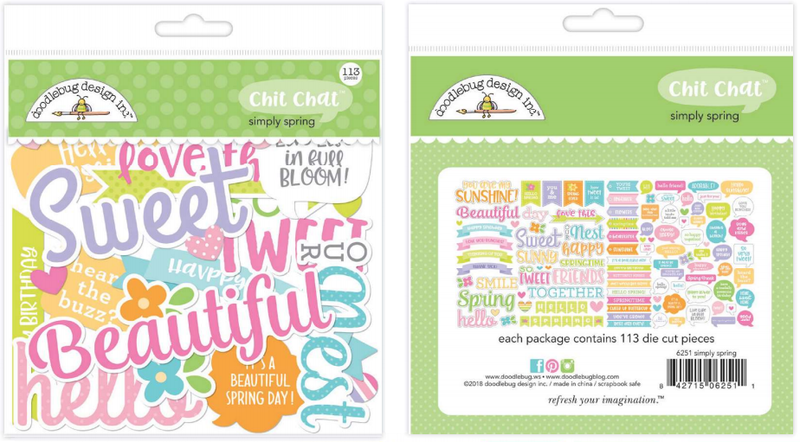 Doodlebug Design Inc Blog: INTRODUCING "Simply Spring" | + GIVEAWAY!!! nature is saying it's "Simply Spring!" the perfect way to get rid of your Winter doldrums. All you have to do is leave a comment to enter. I would have a ball creating so many cute Papercrafts projects with this collection! Thanks for the chance to win!!! Doodlebug and spring equals happy smiles! Thanks for the chance to win! This collection is "Simply" amazing! So excited to see the stamp and die sets! Adorable Spring Collection.I am in love!! Thank you!! OMG, so adorable for spring. I love the colors!! Doodlebug - forever in my heart! So so cute!!! So pretty and cheerful! I wish it was spring already. I would like to have this collection and create the photoalbum .Thank you for the chance to win. I love that you're release stamps/dies with your already beautiful collection. I can't wait for these to land in Australia! This is adorable! Love the colors. Adore this sweet line! So excited to see stamps/dies too!! YAY! Adorable!!! You have done it again Doodlebug!!! Cute collection! I really need for my ship to come in. These sets are just too adorable! The little bee and lady bug are beyond cute! Wow! These are just too cute! And I’m so looking forward to Spring! I absolutely adore this collection. The colors are beautiful. Oh my gosh! This is some major cuteness ! These are so springy. Love your colors. I love everything Doodlebug, just adorable! So ex ited about your new release. Love this collection. Oh my! What a fabulous pack! Perfect for Spring. As much as I love winter, I'm looking forward to this set. Adorable, and I love the grasshopper pin! 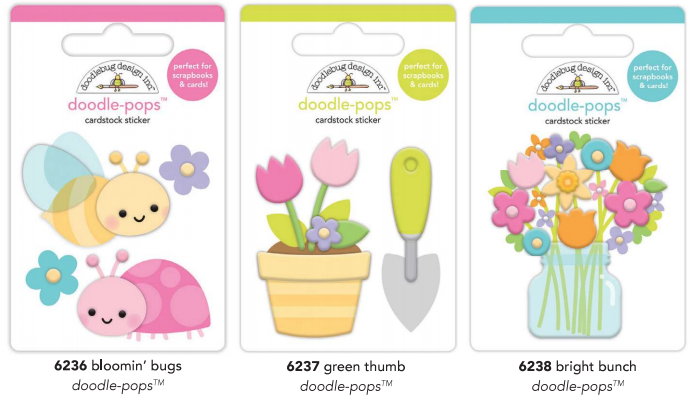 Doodlebug gets better and better with each release! Horde-worth Your! 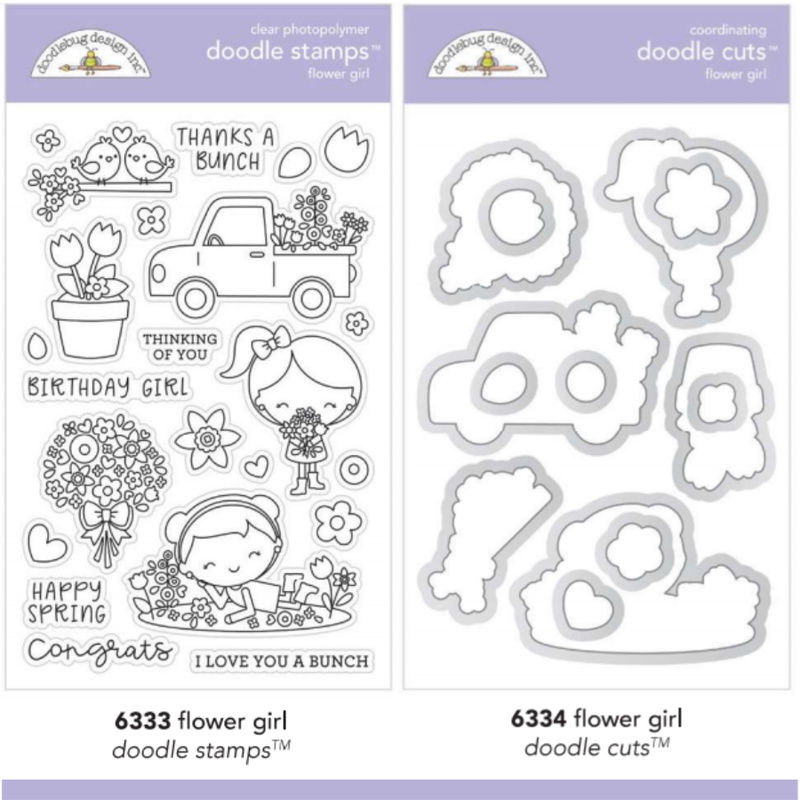 Doodlebug, adorable collection! Thanks for the chance to win! This collection is so awesome, the stamps are so cute. Wonderful Spring collection. So pretty..
Love this collection!! I can’t wait to see it in person! Spring has arrived!!!! Although there is a ton of snow here, the collection is inspiring me with happy thoughts, sunny skies and flowers! Magnificent, as always!! Oh my! 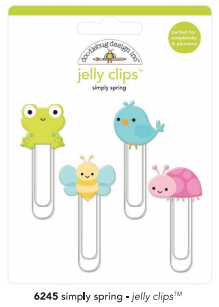 I love the bright spring colours and the cute little critters! And now you're making stamps too!! 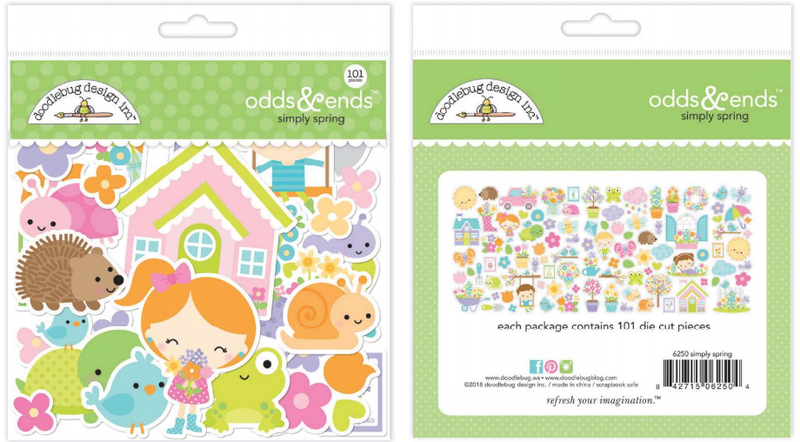 Absolutely adorable, just like all the other collections from Doodlebug! I would love to win this!!! My friends and I would have so much fun creating some awesome cards!!!! Is there anything Doodlebug CAN'T do? 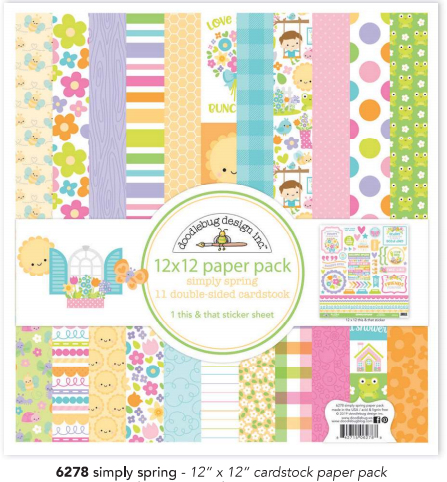 I have recently discovered Doodlebug and have fallen in love with their cute litte faces, adorable pattern paper, darling stickers, etc. I love how you can make such great scenes with their products. Keep up the great work. Just love Doodlebug period . Awesome products. What a beautiful spring collection. So fun! I love all the bright colors in the product line. Makes me happy and can't wait for spring. Love this entire collection! So cute! All the bright colors make me smile and happy. Can't wait for spring. A beautiful rainbow of spring colors paired with the sweetest critters and images... it couldn't be more perfect!!! 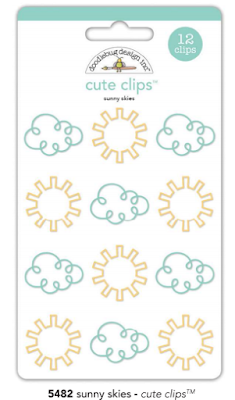 I can't wait to create adorable cards this glorious collection! Everything about it makes my heart happy! This collection is simply fabulous! I can envision cute cards, layouts and a mini album with the fabulous pieces in this line. Thanks for the chance to win! Thanks for a chance to win! Love the pretty spring colors! I could use some happy, colorful spring instead of staring at all this snow! I love Spring so much and your gorgeous collection makes me deliriously happy! Smiling suns, ladybugs, and bees get me every time! What a beautiful collection! 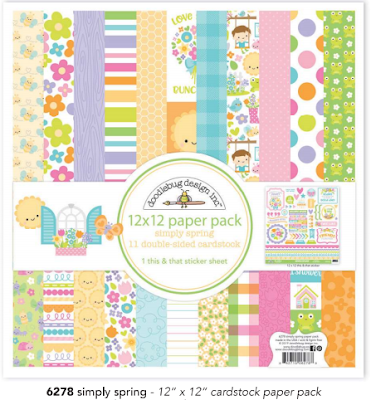 I’d love to win this to create scrapbook pages and cards. Just learned about Doodlebug. Such fun and cute things!! OMG!! Adorable! Love all the embellishments and designs. So cute! Love the bright, cheerful colors! 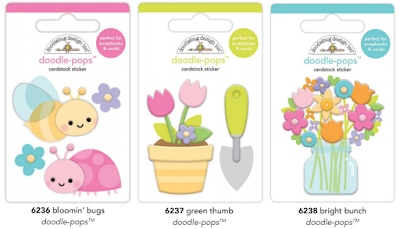 Doodlebug are my favorite products. These are gorgeous. I’ve seen several purchases in my future. This collection is so sweet! I'm ready for these pretty spring colors. What a lovely collection!!! It would be amazing win it!!! Your desingns just keep getting cuter and cuter! Love! I love all your products, so bright and cheery! Doodlebug is my favorite. Love this line. Love how everything matches. I am so in love with the little bugs. Thank you for keeping me inspired!! 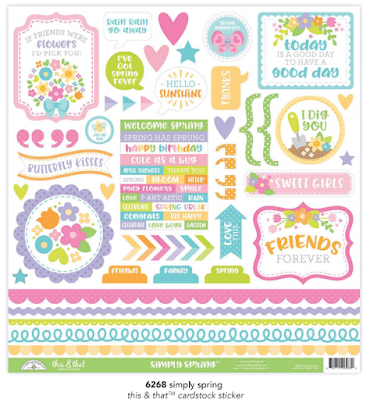 Love all things Doodlebug, and this is no exception. You gals rock. This collection is so cute! It would be amazing to have this one to use for some of my wood craft projects. Wow...so much cuteness here...just love all those sweet images. I'm ready for winter to be over! This is such a perfect way to clear up those winter blues! Beautiful! Love this collection. It will be perfect for my April visit to my grandkids in Virginia. I hope to get some good pictures with the cherry blossoms. This collection touches my heart! What a sweet and adorable way to celebrate spring!! This is such a gorgeous collection. I know its only January but I am totally ready for spring now! Thank you for the chance to win. You guys are killing me!! I just got French Kiss and Pot-o-Gold and now I have to get this and the Easter collection. I ❤️ Doodlebug! Oh the possibilities with all this crafty goodness. Thank you for a chance to win. This just makes my gardening heart so very happy!!! Thanks so much for the smiles and the chance to win!!! Love all the bright spring colors!!! Can’t wait for Spring!!!! I love this collection! Can’t wait for spring to arrive. So cute! Love the colors and designs! 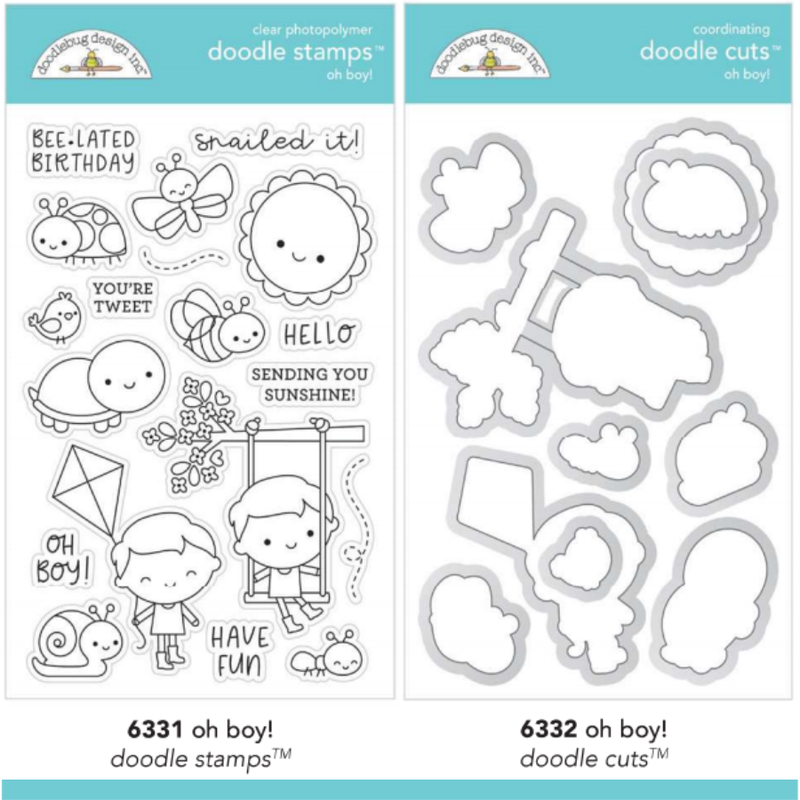 Excited about the fun stamp sets! 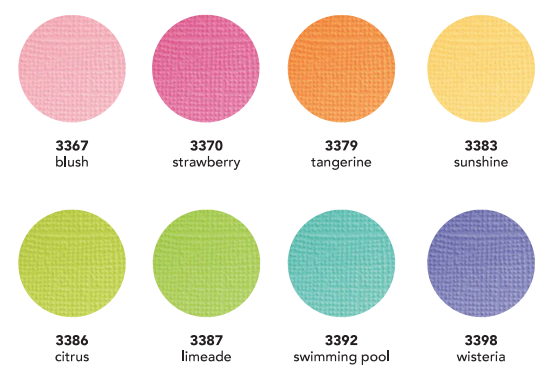 Such a perfect spring palette. I've fallen in love with the adorable snail in this collection. Thanks for offering such a generous package. I love this collection! I love ALL the Doodlebug stuff. I use it in my planner all the time! Love the happy colors and themes! Can't wait to get the stamps and dies. I'm in love with everything in this, and every, collection! I love the new Simply Spring collection. The colours are so cheerful. There are so many uses for this spring set. I would love to win it! Thanks for the chance. Love all of it!! Can’t wait to play with it! It's only Janurary and I'm so looking forward to the sun returning. This line has given me a glimpse of what is to come and a lot of inspiration. Love it!!!!!! I simply love your new Simply Spring Collection! My granddaughter turns one soon and I can see creating many scrapbook pages for her book. 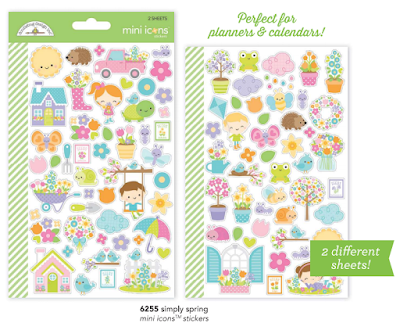 In addition, I can see making pages and cards for spring. These are so cute - I am loving the little hedgehog! Adorable Spring Collection.I am in love!! My live is amazing with you guys!!!! The kids and animals are so cute! I can’t wait for this collection! 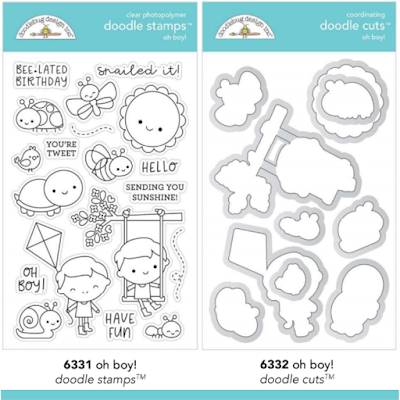 Stamps and dies are so adorable! Such a cute collection! Perfect for my daughter’s scrapbook. This line is too adorable for words! Super cute!! I would love to win some cute spring items! I just love doodling,my girlfriend sings a little jingle while we're making cards about doodlebug! I love the colors & everything about this line!! Awesome job as always, I need it all! I can't wait for spring...Love all of this! Love all the wonderful new collections! Beautiful! Such a beautiful collection with adorable details!! I would love to win this!! 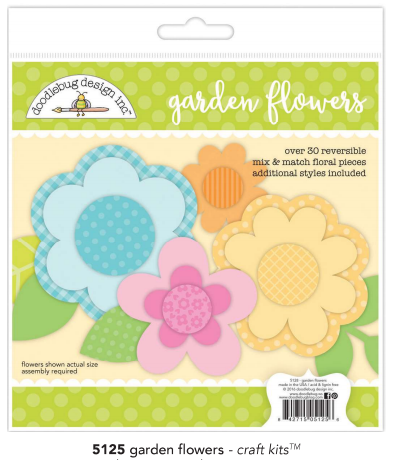 I absolutely love Doodlebug after being introduced to it several years ago at a Scrapbook show. I especially like stamps and matching dies and your shaker card kits. 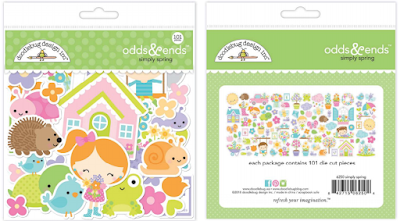 such cute kids in the odds and ends pack! thats my fav !!! This is an adorable line! So bright and cheery! Another wonderful Doodlebug product. Love it! I absolutely love every single thing about your products!! Can’t wait to get my hands on the stamps and everything else!! Well done!!! Love this spring line! After all the dark dreary rainy days of winter, these pieces will be sure to brighten things up!! Too cute! And, Ladybugs to boot! This all just too cute! 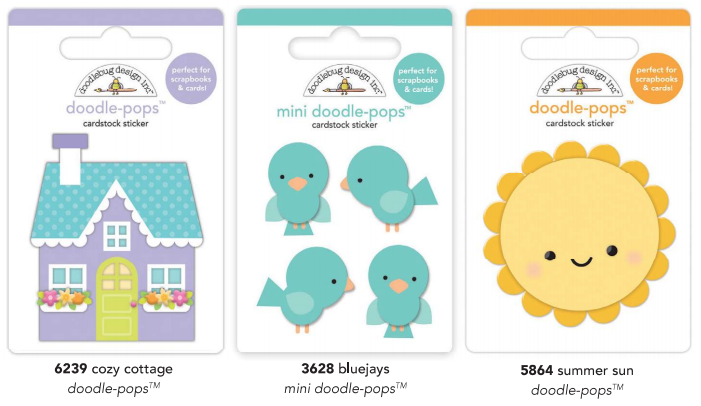 I just love everything from Doodlebug! So much cuteness! Thanks! Best smile I have had all week. This collection is a pure delight! I would love to win!!!! Love everything!!! Such beautiful and happy colors for such a dreary day here. Thank you for the chance to win. 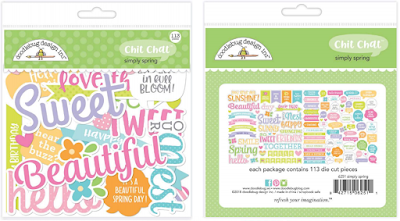 Love the Spring collection and love that y'all are making stamps now. This collection is so precious and cute! 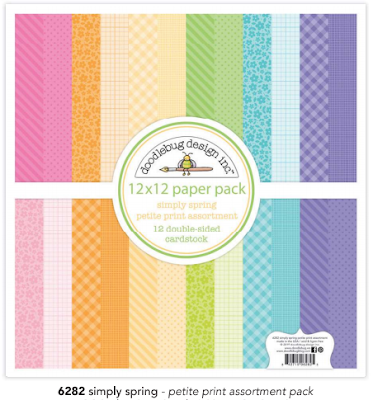 I would love to get my hands on some more Doodlebug supplies for my craft stash! This collection is adorable! So many ideas for some great pages! Beautiful collection! My head is spinning with so many ideas! Love it! 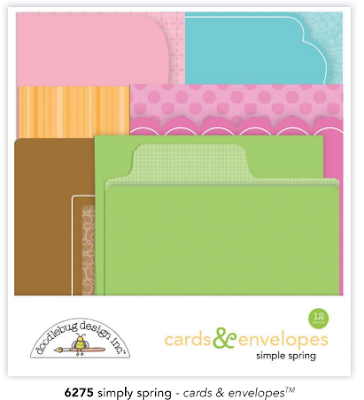 It is the wonderful standard we expect from Doodlebug! I so love your products and even though it is a sweltering summer here in Australia, i look at your spring products and they make me happy on the inside and smile on the outside. Thank you. Doodle bug always has the cutest stuff! Love the spring collection as well! So cute! I would love to win this, so cute! Love love love all of your stuff. Please enter me. I can't wait to get my hands on this set. I am loving your releases!!! This one does not disappoint!!! The kids are so cute!!! OMG - total sweetness. Love it all. I love the colors in this set!!! My sister would die over all the ladybug things!!! I love all the beautiful spring colors! I love this kit. The turtle is my favorite! 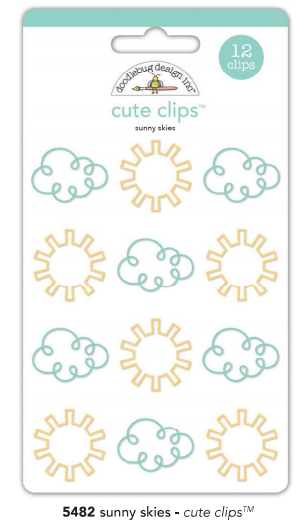 Also love the sun & cloud clips. I looooove, looooove loooove Doodlebug! When I see your new items, the only way to describe it is like seeing a beautiful chubby baby that you want to bite! Agh! Love it!!!! Very cute kit! Thank you! Impresionante Kit. Si su marca se distingue por algo, es por los colores tan vivos que tiene. Me encanta! I have used and loved your product for years, I owed a store years ago and you were my most popular vendor. I am amazed at all of your new ideas you come out with. Please keep it up. Love everything you design! The colors and embellishments are perfect!! This collection is so sweet!!! I adore the stickers in it! Awesome set, love the colors! I love everything doodlebug! Another great collection! Oh this is so cute! I love it! The projects could be never ending with this incredibly adorable collection!!! It is fantastic!! 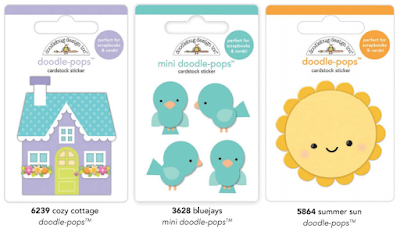 I love Doodlebug and this Spring Collection is so adorable! Thanks for a chance to win! I love this collection the colors can't be more bright . This Kit is the cutest thing ever!!! The sun and the hedgehog! EEEK!!! Love it all so much! Aw, man, I haven't finished my Fall layouts yet, and now I am itching to do Spring layouts! What a pretty collection. Thanks for the opportunity to win. Thanks for a chance to win :D Adorable collection!!! I love your products!!! Spring is a long way off for us, but I appreciate the opportunity to maybe experience spring a little early. Thank you! Fun, fresh and adorable collection! 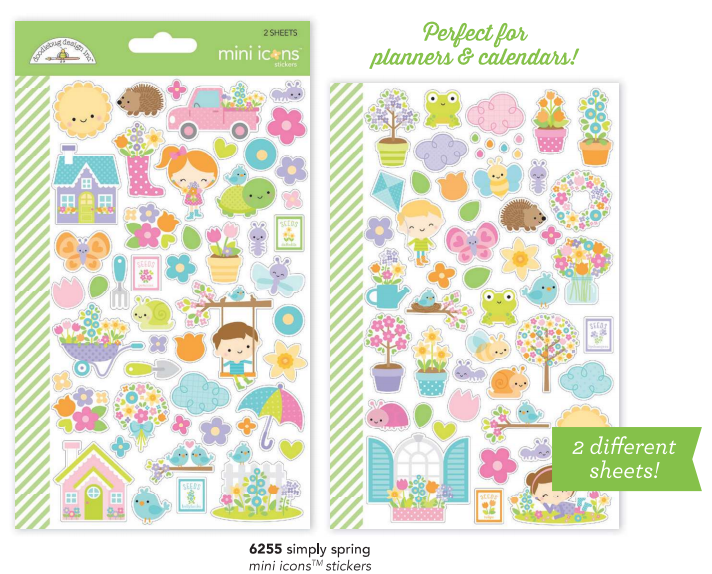 Best spring collection yet, I am so excited for the clear stamps! I absolutely love all of the little animals! Your stuff is always cute! I love the colors in this new Spring collection!! Thank you! 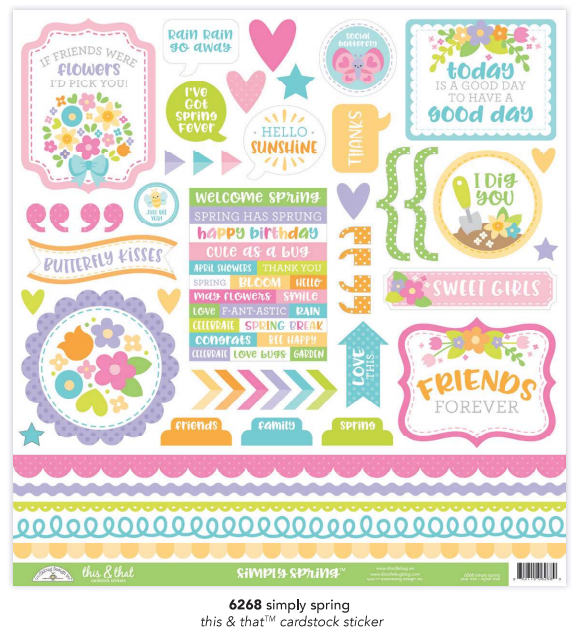 Wow....this collection is soooooo wonderful and that stamp sets.....really a hit!!! Can't wait creating a lot of cards with them.